I think I picked up this folding ruler a while back at a flea market. It’s one of those pieces you see pop up once in a while! There’s just something about it that I loved, so I decided to finally get one. Plus, you can do really fun stuff with it – like create all sorts of lovely shapes! 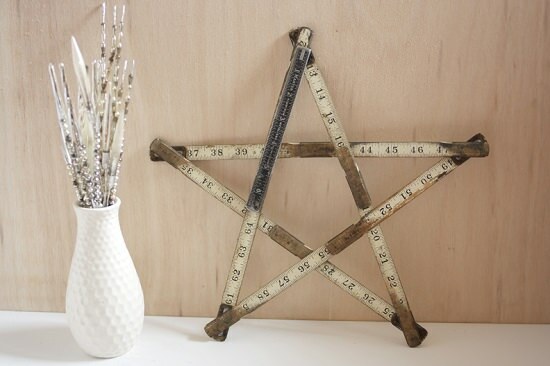 I figured, since it’s the holidays I might as well make my ruler into a fun Christmas star. I have it hanging in our front window of our living room. It seems to tie in all of our vintage pieces quite nicely. I have to admit, I was having trouble trying to get the star to look just right. After a few tries I finally got it together! I used some twine to hang it from the window and now I don’t want to take it down! 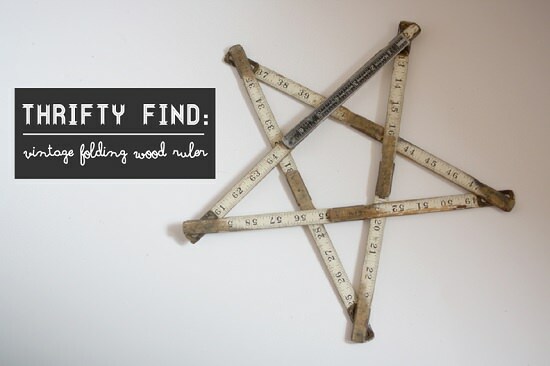 Most of the time, I have this fun little ruler displayed in our room, but I wanted to give it a little more purpose. I am loving the versitility of this thrifty find! It’s a lot of fun and it has so much character with the chipped paint and rusted metal. 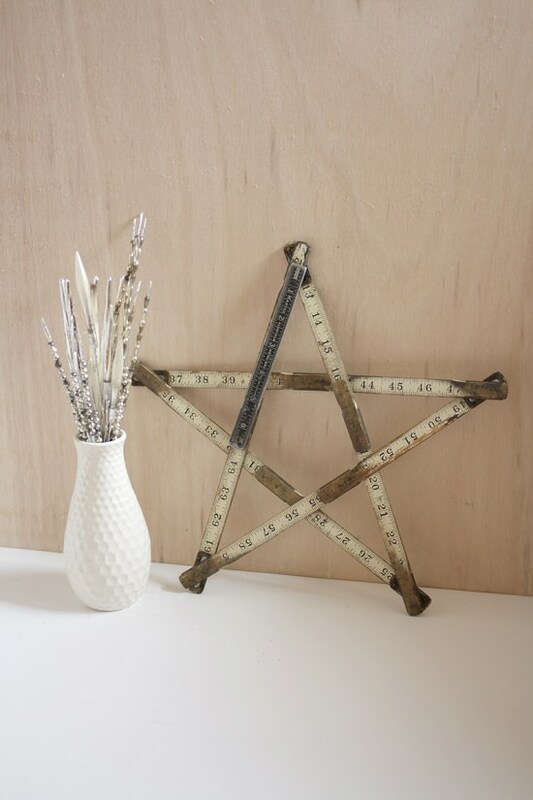 What do you think of my little vintage folding wood ruler, turned Christmas star? !